The Overwatch Year of the Dog event is just around the corner and Blizzard decided to share more details. Jeff Kaplan, the game developer, talks about the latest updates, including the return of Capture the Flag. The game was launched during the Year of the Rooster event from last year. Gamers were able to enjoy the game in the Arcade mode. However, developers decided to implement some practical changes that could help them offer players better gaming experience. First, Blizzard decided to give up on the Draws, adding a new mechanic. Hence, both teams could have the same score at the end of the timers, and both flags will get closer to each other on the map. From that point, one of the teams needs to bring their enemy’s flag over to their base in order to win the game. In the meantime, gamers will not have to wait to try and capture an enemy flag and just grab it from the get-go. However, if players use abilities that greatly boost mobility or grant invincibility, this may cause them to lose the flag. Currently, Blizzard is planning a competitive season dedicated to Capture the Flag that will last four weeks. 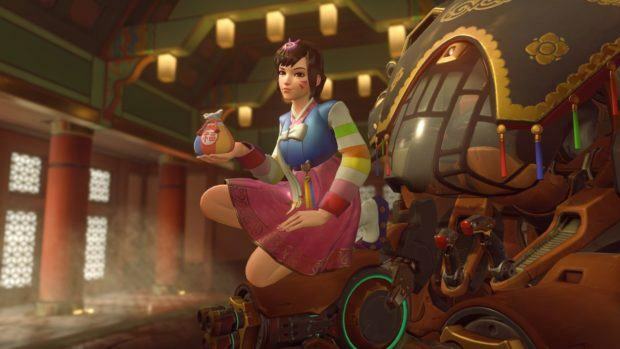 Hence, the Overwatch Year of the Dog will also last four weeks, offering a chance to those who travel during Lunar New Year to experience the event. Furthermore, developers also prepared six new Legendary skins. There will be new costumes for Widowmaker, Genji, and Mercy. Overwatch, the Year of the Dog, will launch on February 8. Players will be able to play the game on the Xbox One, PS4, and PC. The Year if the Dog brings a lot of updates which will improve gamers Overwatch experience.